Category: AllIntegrationShowroomIntercomAviation Choose the Category and Type of download you want, and click SORT. If you don't see the download you are looking for, choose either category or type only. If you know the product model number associated with the download, you can also find it on the product page under products, or use the search box. Power Supply Mounting Instructions [View] (424.28 KiB) Installation manual for Access power supply mounting. 970 Manual [View] (489.31 KiB) Includes all serial commands to control the Access system via the 970 module. Product Select Button [View] (1.34 MiB) Focus Sheet. 013-094 Product Select Button [View] (127.83 KiB) Dimension drawing. 013-095 Product Select Button [View] (127.83 KiB) Dimension drawing. 013-100 RJ9 Product Select Button [View] (140.95 KiB) Dimension drawing. 013-100 RJ9 Product Select Button [View] (647.68 KiB) Focus Sheet. 013-101 RJ9 Product Select Button [View] (140.95 KiB) Dimension drawing. 013-101 RJ9 Product Select Button [View] (647.68 KiB) Focus sheet. 013-102 RJ9 Product Select Button [View] (140.95 KiB) Dimension drawing. 013-102 RJ9 Product Select Button [View] (647.68 KiB) Focus Sheet. 1154B IR Codes CCF and XLS (3.27 KiB) Hex codes in CCF file (works with most universal remotes) and XLS file. Find in Harmony database under "Amplifier" > "AV Switch" category. Find in URC database under "Aux" > "Audio Authority" category. AVX-561 IR Codes (6.23 KiB) IR codes (xls and ccf files) for 1166, AVX-561. The Aviation Consumer magazine article reprint [View] (1.71 MiB) Reprint of 2011 review. 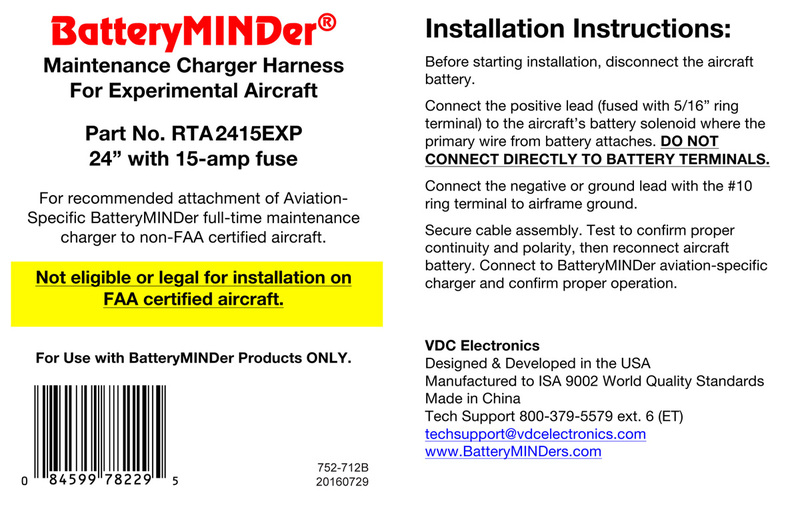 128CEC1-AA-S2 Manual [View] (813.96 KiB) Aviation-specific CEC1 Series BatteryMINDer manual. Installation Manual [View] (623.18 KiB) Model 1300 series-4K Installation Manual. Updated 20180122. HDMI TV Showroom Guidelines [View] (210.98 KiB) How to set up a large showroom distribution system while conforming to the rules of HDMI and HDCP signal transmission. Template (721.35 KiB) Drawings for Import Full scale line drawings in DWG and PDF formats for import into CAD. Series 1500 Firmware Update v4.07 (125.42 KiB) Series 1500 firmware update version 4.07 - added January, 2013. See update instructions. Series 1500 Brochure [View] (2.22 MiB) Series 1500 brochure, updated August 28th, 2017. Service Bulletin [View] (1.52 MiB) Symptoms: Humming sound or erratic lane selection. 1500 Alternative Wiring [View] (173.52 KiB) Series 1500 alternative wiring for retrofit, using existing wire instead of Cat 5. Series 1500 Brochure [View] (2.22 MiB) Series 1500 brochure, updated August, 2017. Outdoor Video Camera [View] (1.39 MiB) WDR Outdoor Camera. Updated February, 2018. Template (803.44 KiB) Drawings for Import Full scale line drawings in DWG and PDF formats for import into CAD. Template (221.83 KiB) Drawings for Import Full scale line drawings in DWG and PDF formats for import into CAD. Series 1500 Firmware Update v4.07 (125.42 KiB) Series 1500 firmware update version 4.06 - added January, 2013. See update instructions. Template (126.21 KiB) Drawings for Import Full scale line drawings in DWG and PDF formats for import into CAD. Focus Sheet [View] (991.67 KiB) Video Add-on Customer Stations compared. Focus Sheet [View] (436.29 KiB) Two way video displays. Updated November 7, 2017. Focus Sheet - OEM video chassis [View] (1.13 MiB) Video Display and camera chassis for OEM drive-up units. Updated February, 2018. Template (101.16 KiB) Drawings for Import Full scale line drawings in DWG and PDF formats for import into CAD. Focus Sheet Model 1533 - Application 2 [View] (414.71 KiB) Updated March 2018. Focus Sheet Model 1533 - Application 1 [View] (483.98 KiB) Updated March 2018. Focus Sheet 1542V Wireless Headset [View] (385.70 KiB) 1542V Wireless headset. Manual [View] (584.89 KiB) Installation Instructions, updated March 2019. 1580 Printable Operator Guide [View] (158.12 KiB) 1580 Series Operator Guide - four up. 1701 Manual [View] (1.10 MiB) Original Model 1701 Demonstration Audio Player, April 2012. 1701 Manual [View] (1014.06 KiB) Model 1701 Demonstration Audio Player, updated July 2013. 1703 Manual [View] (860.54 KiB) Model 1703 Demonstration Audio Player Instruction Manual. Updated April 2019. 1704 Manual [View] (1.04 MiB) Model 1704 Demonstration Video Player Instruction Manual. 1707 Focus Sheet [View] (674.08 KiB) Model 1707 Demonstration DLNA Audio Player Focus Sheet. 1707 Manual [View] (531.75 KiB) Model 1707 Demonstration DLNA Audio Player Instruction Manual. 1801 Focus Sheet [View] (1.19 MiB) Model 1801 Home Theater Speaker Demonstrator. 1803 Focus Sheet [View] (816.09 KiB) Model 1803 High Resolution Audio Demonstrator. 1803 Manual [View] (706.81 KiB) Model 1803 High Resolution Audio Demonstrator manual. 1805 Focus Sheet [View] (411.45 KiB) Model 1805 2-Channel Amplifier, updated September 2018. 1805 Manual [View] (448.53 KiB) 2 Channel Analog Amplifier Manual, updated September 2018. 1809 Focus Sheet [View] (518.76 KiB) Model 1809 USB interface. Focus Sheet [View] (318.18 KiB) Serial to CEC adapter. Updated September 2018. 1810 Manual [View] (325.99 KiB) 1810 Manual. Focus Sheet [View] (1.08 MiB) Model 1812 Media Hub product focus sheet. 1816-1 Focus sheet [View] (316.46 KiB) Serial distributor with USB input. 1816 Focus sheet [View] (324.52 KiB) Serial distributor with external power and RS-232 port. 1816-1 Installation Manual [View] (303.96 KiB) Serial distributor with USB input. 1816 Installation Manual [View] (350.73 KiB) Serial distributor. 1818 Focus sheet [View] (485.85 KiB) Six position serial switch controller. 1819 Focus Sheet [View] (943.06 KiB) Model 1819 Serial Stereo Bus Switch. 1819 Manual [View] (859.42 KiB) Model 1819 Serial Stereo Bus Switch manual. 1820 Focus Sheet [View] (526.43 KiB) Model 1820 Serial Switch Controller. 1821 Focus Sheet [View] (396.11 KiB) Model 1821 Digital Audio Demonstrator. 1821 Manual [View] (518.63 KiB) Model 1821 Digital Audio Demonstrator manual. 1822 Focus Sheet [View] (610.01 KiB) Model 1822 GPIO to push-button adapter. 1823 Focus Sheet [View] (444.62 KiB) Model 1823 GPIO to push-button adapter. Focus Sheet [View] (1.03 MiB) Model 1824 Media Hub product focus sheet. Focus Sheet [View] (1.08 MiB) Model 1826 Media Hub product focus sheet. 244CEC1-AA-S2 Manual [View] (813.96 KiB) Aviation-specific CEC1 Series BatteryMINDer manual. 244CEC1-AA-S5 Manual [View] (813.96 KiB) Aviation-specific CEC1 Series BatteryMINDer manual. The Aviation Consumer magazine article reprint [View] (148.93 KiB) Reprint of 2011 review. 2835A Manual [View] (580.31 KiB) 28-Volt Ground Power Unit manual. Updated January, 2015. Airframe Interface Kit Manual [View] (2.18 MiB) Airframe Interface Kit for GPU BatteryMINDer. Updated 2019. 2835A-B1 Manual [View] (381.93 KiB) 28-Volt Ground Power Unit manual. Updated 2013. 2870A Manual [View] (580.31 KiB) 28-Volt Ground Power Unit manual. Updated January 2015. 2870A-B1 Manual [View] (381.93 KiB) 28-Volt Ground Power Unit manual. Updated 2013. GPU BatteryMINDer Airframe Interface Kit [View] (2.18 MiB) Integral GPU BatteryMINDer Airframe Interface Kit Installation Instructions. Bulletin 902 903 Manager Code [View] (87.72 KiB) How to access locked functions on 902 and 903 control panels. 903 User Manual [View] (2.29 MiB) Control Panel User Manual. Updated June, 2015. Access Car Audio Manual [View] (10.51 MiB) For car audio demo systems including 911 modules. Access Car Audio Manual [View] (10.51 MiB) For car audio demo systems including 917X modules. Access Car Audio Manual [View] (10.51 MiB) For car audio demo systems. Access Home Audio Manual [View] (5.16 MiB) For home audio demo systems including the 903i Comparator, or 945 and 956B modules. Access Car Audio Manual [View] (10.51 MiB) For car audio demo systems including 920X modules. Access Car Audio Manual [View] (10.51 MiB) For car audio demo systems including 922 modules. Access Car Audio Manual [View] (10.51 MiB) For car audio demo systems including 932 modules. Access Car Audio Manual [View] (10.51 MiB) For car audio demo systems including 932X modules. Access Car Audio Manual [View] (10.51 MiB) For car audio demo systems including 939 modules. Access Car Audio Manual [View] (10.51 MiB) For car audio demo systems including 940 modules. Access Car Audio Manual [View] (10.51 MiB) For car audio demo systems including 940X modules. Access Car Audio Manual [View] (10.51 MiB) For car audio demo systems including 942 modules. Access Car Audio Manual [View] (10.51 MiB) For car audio demo systems including 949X modules. Access Car Audio Manual [View] (10.51 MiB) For car audio demo systems including 952, 914X modules. Updated to include 903i Comparator and Model 974. Access Car Audio Manual [View] (10.51 MiB) For car audio demo systems including 958 modules. 970A Manual [View] (612.42 KiB) Manual with commands and protocol. Updated December 2016. 974 Manual [View] (710.57 KiB) Manual with installation instructions..
Access PCHT Manual [View] (1.17 MiB) Touchscreen software to control the Access system in Home Theater demonstration systems. Access Car Audio Manual [View] (10.51 MiB) For car audio demo systems including 9A15 modules. Access Car Audio Manual [View] (10.51 MiB) For car audio demo systems including 9A80 modules. Access Legacy Home Audio Manual [View] (1.38 MiB) For home audio demo systems including legacy 903 Control Panel, or 954 and 947 modules. Access Legacy Car Audio Manual [View] (4.11 MiB) For legacy car audio demo systems including 910, 915X modules. Access Home Audio Manual [View] (5.16 MiB) For home audio demo systems including the 903i Comparator. Access Car Audio Manual [View] (14.69 MiB) For car audio demo systems, updated to include 903i Comparator and Model 974. New features include zone off/on controls. Control4 Driver for ADX (101.58 KiB) Two-way Control4 Driver for ADX systems (Control4 Driver for ADX [View] (134.33 KiB) ) - version 2.7 added January, 2013. ADX Firmware Version 2.6.8 (210.24 KiB) See change log for details. Added [QAPP2] serial command to return favorite names. ADX Firmware Version 2.6.7 (234.13 KiB) See change log for details. Added [QOL] serial command to read output level over serial/network. RTI Driver Instructions [View] (158.06 KiB) How to install and use the RTI driver for ADX. Control4 Driver for ADX [View] (134.33 KiB) How to install and use the Control4 driver for ADX. ADX Setup Utility [View] (2.08 MiB) ADX Setup Utility guide. ADX Series Manual [View] (2.35 MiB) ADX User Manual including new DSP filters. See also the ADX Serial Command Protocol (61.00 KiB) document. ADX Serial Command Protocol (61.00 KiB) ADX Command Protocol for IP and serial control. Updated October, 2016. ADX Control App Guide [View] (2.53 MiB) Control App v1.0 user guide. ADX PC Setup Utility (7.40 MiB) Windows™ PC software utility v2.2 - includes real-time commands and DSP graph. ADX Mac Setup Utility (9.46 MiB) Mac OS X software utility v2.2 - includes real-time commands and DSP graph. ADX app for iOS (3.72 MiB) Apple iOS app (for side load only). This software is no longer supported - user is responsible for functionality. Added [QOL] serial command to read output levels over serial/network. Control4 Driver Instructions for ADX [View] (134.33 KiB) How to install and use the Control4 driver for ADX. ADX Serial Command Protocol (63.50 KiB) ADX Command Protocol for IP and serial control. Updated October, 2016. ADX Control App Guide [View] (2.53 MiB) Android and iOS control application guide. 2-Way Control4 Driver for AVAtrix (7.93 KiB) The AVAtrix driver for Control4 is available through the Control4 Composer software. Firmware AVM-562 or AVX-562 Upgrade Download Version 3.0 February 25, 2011 Contents: 194K, file. See upgrade instructions (PDF) for details. AVAtrix IR Codes (6.53 KiB) IR codes (xls and ccf files) for 1166, AVX-562, and AVM-562. AVAtrix PC Utility Software Version 1.3 (183.97 KiB) Windows™ PC software utility - for AVX-562, AVM-562, AVM-562E matrix switchers, and original 1156/1166 switchers. Compatible with Windows 95 through XP. Installation, Cirrus SR22 [View] (414.06 KiB) BM-AIK Installation example on a Cirrus SR22. Airframe Interface Kit Manual [View] (2.18 MiB) Airframe Interface Kit for GPU integral BatteryMINDer. Updated 2019. Airframe Interface Kit Manual [View] (2.18 MiB) Airframe Interface Kit for BatteryMINDer. Updated 2019. Note: Find in Harmony's Database under "Amplifier" > "AV Switch" category. BlueBeam setup software for C-1071A (409.75 KiB) Advanced BlueBeam setup application via Microsoft Windows. Compatible with C-1071A only, not compatible with C-1071. Version 1.2.7 added January 2012. BlueBeam setup software for C-1071A (410.19 KiB) Advanced BlueBeam setup application via Microsoft Windows. Compatible with C-1071 only, not compatible with C-1071A. Version 1.2.4. DirectSelect Volume Control Instructions [View] (191.26 KiB) How to use 2958 and 2959 modules to control volume. DirectSelect Manual [View] (548.58 KiB) How to design home audio, car audio, and personal audio systems using DirectSelect. FlexPort Manual [View] (1.53 MiB) Technical manual for SF-16M FlexPort Transmitters. Updated December, 2015. Application Drawing - Sports Bar [View] (5.18 MiB) HLX and SonaFlex team up for a winning combination in sports bar applications. RTI Driver for HLX (22.55 KiB) Two-way RTI Driver for HLX systems - see Instructions. Updated August, 2015. Control4 Driver for HLX (98.95 KiB) Version 2.6 two-way Control4 Driver for HLX systems,(HLX Control4 Driver Instructions [View] (119.57 KiB) ) - added January, 2013. See the HLX Change Log for details. WARNING: Are you upgrading from version 1.3.1 or before? If so, follow this special update procedure. Check your HLX Firmware Versions menu. Note: This firmware update will not allow a roll back to previous firmware versions. Backup any settings that you do not want to lose when performing the update. Product Focus Sheet [View] (5.34 MiB) Modular component video and audio matrix brochure. Updated November, 2015. Mfocus Sportsbar1 [View] (507.49 KiB) Application diagram for HLX in a sports bar, club, or restaurant. HLX User Manual [View] (7.95 MiB) HLX User Manual with new low-pass mode documentation and other DSP serial commands. HLX Firmware Update Instructions [View] (106.79 KiB) Instructions for updating HLX firmware version 2.0.0 or greater to version 2.2.0. HLX Control4 Driver Instructions [View] (119.57 KiB) How to install and use the Control4 driver version 2.3 for HLX. HLX PC Utility (340.48 KiB) Windows™ PC software utility - now with low-pass filter settings, includes 10 EQ presets. Version 1.4. Experimental Airframe Charger Harness Manual (251.39 KiB) Harness for BatteryMINDer maintenance chargers on experimental aircraft. Not for installation on FAA certified aircraft. 29-SWAK Subwoofer Add-on Kit [View] (119.68 KiB) Discontinued product. Series 2 Manual [View] (1.15 MiB) Mechanical car audio switching system manual. 277 Manual [View] (434.09 KiB) Mechanical car audio switching system manual. User Manual [View] (1.56 MiB) Installation manual for SF-16B 16-Channel Amplifier. Legacy Control4 Driver v.2.0.3 for SF-16M (876.00 B) The .c4i driver for Control4 OS 2.6+ (SF-16M v1.5) - see Instructions and Change Log for details. Updated June, 2016. Legacy Control4 Driver v.2.0.2 for SF-16M (28.23 KiB) The .c4i driver for Control4 OS 2.6+ (SF-16M v1.5) - see Instructions and Change Log for details. Updated February, 2016. Control4 Driver v.2.0.3 for SF-16M (65.22 KiB) The .c4z driver for Control4 OS 2.6+ (SF-16M v1.5) - see Instructions and Change Log for details. Updated June, 2016. Control4 Driver v.2.0.2 for SF-16M (63.91 KiB) The .c4z driver for Control4 OS 2.6+ (SF-16M v1.5) - see Instructions and Change Log for details. Updated February, 2016. SDDP tweaked for Control 4 certification. Ethernet control now allows 4 concurrent sessions. Discrete IR Codes (1.73 MiB) Discrete IR command hex codes (Pronto codes) updated January 2013. See tips for using discrete IR code spreadsheet. SonaFlex Commands (56.00 KiB) Serial and Ethernet commands for SF-16M Matrix Amplifier, (v1.5) updated July 3, 2015. SF-16M Tech Manual [View] (6.20 MiB) Technical manual for SF-16M Matrix Amplifier. Updated June, 2015. SF-16M Setup Utility Manual [View] (2.48 MiB) Manual for SF-16M Setup Utility (Mac or Windows). Updated December, 2015. SF-16M QuickStart [View] (2.70 MiB) QuickStart guide for SF-16M Matrix Amplifier with new Zone Setup. Updated April, 2015. Mobile App User Manual [View] (1.79 MiB) Manual for Android and iOS mobile app. Download the App. Control4 Driver for SF-16M [View] (171.32 KiB) Instructions for using the alpha version of the Control4 Driver for SF-16M. SF-16M PC Setup Utility (7.23 MiB) Windows™ PC software - version 2.3, updated October 17, 2017. SF-16M Mac Setup Utility (9.06 MiB) Mac OS X software - version 2.3, updated October 17, 2017. SF-16M app for iOS (4.08 MiB) Apple iOS app (for side load only). This software is no longer supported - user is responsible for functionality. Tablet Focus Sheet [View] (563.60 KiB) Tablet control panel for custom demonstrations focus sheet. Focus Sheet Touch Select Series [View] (1.69 MiB) Printable for 11X17 paper. TS04 template [View] (110.05 KiB) Full size template for overlay artwork. TS04 manual [View] (779.26 KiB) Manual for TS Series. TS04-USB manual [View] (779.26 KiB) Manual for TS Series. TS09 template [View] (122.85 KiB) Full size template for overlay artwork. TS09 manual [View] (779.26 KiB) Manual for TS Series. TS09-USB manual [View] (779.26 KiB) Manual for TS Series. TS22 template [View] (118.11 KiB) Full size template for overlay artwork. TS22 manual [View] (779.26 KiB) Manual for TS Series. TS22-USB manual [View] (779.26 KiB) Manual for TS Series.